With its stepped-up pub-grub menu and house-brewed craft suds, Atlanta’s Torched Hop Brewing Company is a win-win for Peach State families. Housed in a former warehouse in Atlanta, Torched Hop has ample entertainment options for kids of all ages, like shuffleboard, a bocce ball court and vintage arcade games, including a Nintendo 64. 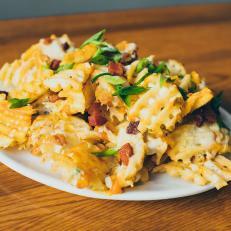 There’s no kids’ menu, but the pizzas and small plates of pimento mac and cheese or Wu-Fries, topped with buffalo chicken, ranch, cheddar and bacon, are beloved by little ones, and great for sharing.